WomenArts is a worldwide community of artists and allies that works for empowerment, opportunity, and visibility for women artists. 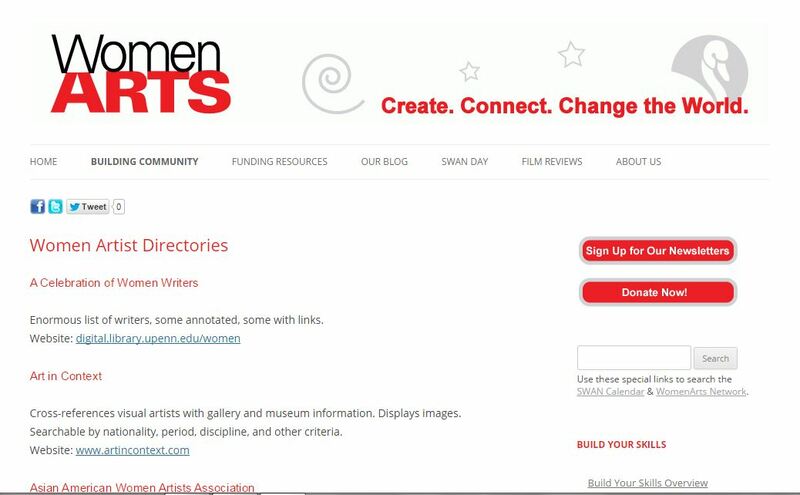 We provide a variety of free online networking, fundraising and advocacy services, and we organize Support Women Artists Now Day (SWAN Day), an annual international holiday celebrating women’s creativity in all its forms. We believe in the power of women artists to create, connect, and change the world. Republished Courtesy, WomenARTS | © WomenArts 2014 unless noted otherwise. All rights reserved.